Polish physician; Talmudic scholar of the eighteenth century. Contrary to the custom of the Polish Talmudists of that time, Günzburg turned his mind to the study of secular sciences. He studied medicine in the University of Göttingen, but did not neglect the Talmud. In 1737 he applied to Jacob Emden to determine the question whether he was allowed to dissect on Saturdays the bodies of dead animals. Emden's answer ("She'elat Ya'abeẓ," No. 45) shows that he held Günzburg in great esteem. Günzburg's medical work is entitled "De Medicina ex Talmudicis Illustrata," Göttingen, 1743. 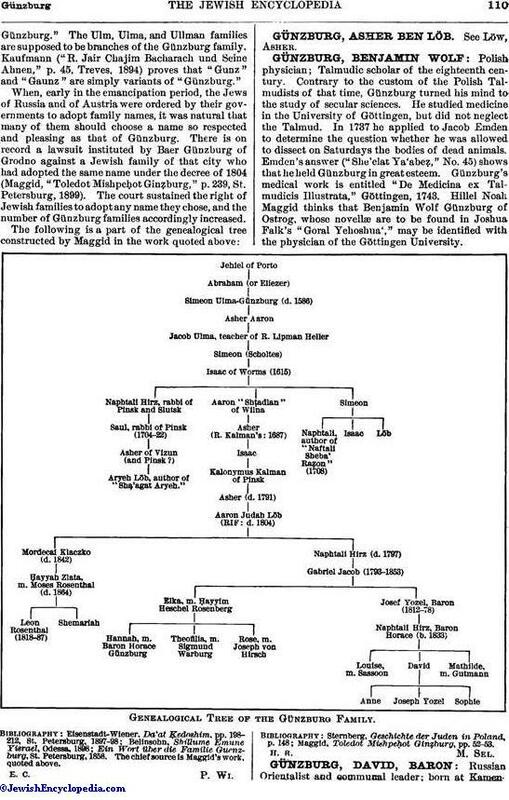 Hillel Noah Maggid thinks that Benjamin Wolf Günzburg of Ostrog, whose novellæ are to be found in Joshua Falk's "Goral Yehoshua'," may be identified with the physician of the Göttingen University. 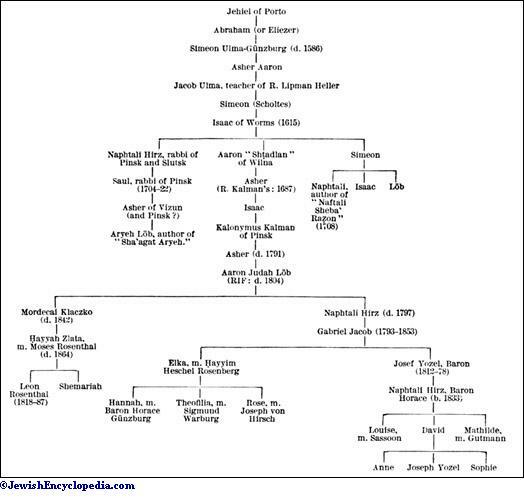 Genealogical Tree of the Günzburg Family. Maggid, Toledot Mishpeḥot Ginẓburg, pp. 52-53.